The Western Institute of Emergency Education is an authorized Training Partner of The Canadian Red Cross. The Advanced First Aid Program offered by the Western Institute of Emergency Education is the Canadian Red Cross Program . For those primarily designated with the responsibility as an Advanced Workplace First Aid Attendant. 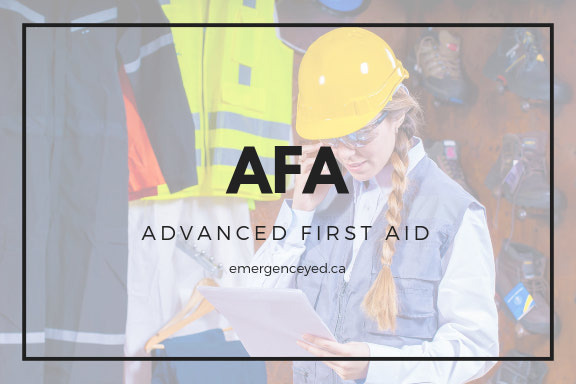 In some jurisdictions, this advanced first aid course is approved for pre-hospital medical first responders. • Participant must be certified in Standard First Aid with CPR level C.
AFA course is for those providing a professional level of emergency response including firefighters, law-enforcement officers, oil and gas safety personnel and emergency medical services personnel.